After careful consideration and research, we are proud to announce Platelet Rich Plasma (PRP) is coming to our practice! PRP, in combination with micro-needling, is a great solution for the non-surgical treatment of male and female hair loss and facial and body aging. These cutting-edge treatments are safe, performed comfortably in the office, and are extremely powerful in helping reverse both female and male hair loss and in increasing the effectiveness of micro-needling in the treatment of facial and body wrinkles, scars, and stretch marks. You may have heard of PRP but don’t exactly know what it is. PRP stands for “Platelet Rich Plasma” and is a concentration of platelets in the blood that are crucial to wound healing. When used for skin rejuvenation or in the treatment of hair loss, it releases growth factors into the skin to expedite the body’s repair process and stimulate new collagen and elastin production. 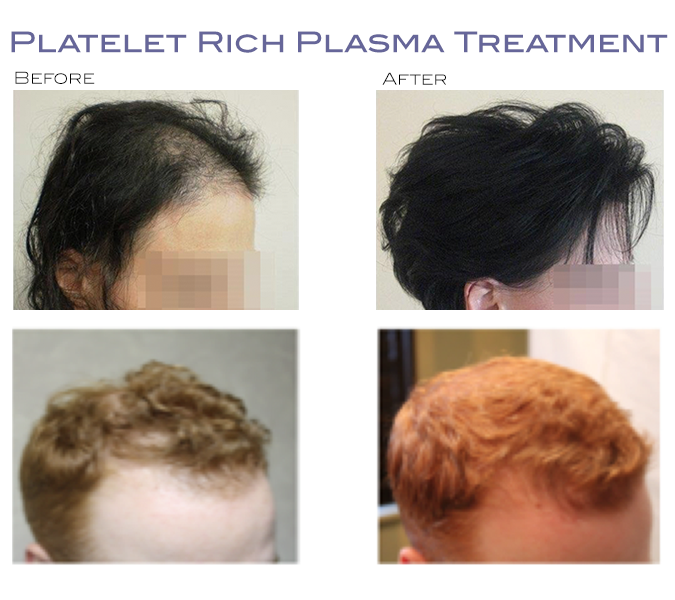 In regards to hair follicles, the platelets in PRP stimulate stem cells in the microenvironment of the hair follicle and facilitate new cellular growth. The primary purpose of using PRP in hair restoration is to stimulate inactive hair follicles into an active growth phase. The result is new hair growth in the treatment of both male and female thinning hair or frank hair loss. For skin treatments, a series of 3-6 treatments, spaced 2-4 weeks apart, is ideal for optimal results. For the treatment of hair loss, it most commonly requires a series of 3-4 sessions, 4-6 weeks apart. Blood is drawn in the office in the same manner as a routine blood test. The blood is then spun in a centrifuge to separate and remove the PRP from the rest of the blood. The desired treatment areas are micro-needled, and then the extracted PRP is added to the surface area in these regions. The final step is cleaning the treated areas. Patients are sent home with instructions for care and follow-up. Medications are often used in home-care regimens to optimize and prolong the effectiveness of these treatments. Most patients experience minimal pain with the procedure; however, patients are made comfortable either with a local block or oral analgesic. This new treatment will be available at the Skin Klinic in mid-November so stay tuned for upcoming details on how you can take advantage of this new treatment option!